Hurricanes: The most violent storms on earth according to NASA. They are fueled by just two ingredients: heat and water. But they bring with them a mix of dangerous weather conditions including whipping winds, torrential downpours, power outages and floods. The 2018 Atlantic Hurricane Season, which officially began June 1st, is now well into its second month and we’ve already seen the first storm of the season on July 6th named Hurricane Beryl. The forecast for 2018 is above average but not as active as the 2017 season which produced 17 named storms and 3 major hurricanes which hit the United States. 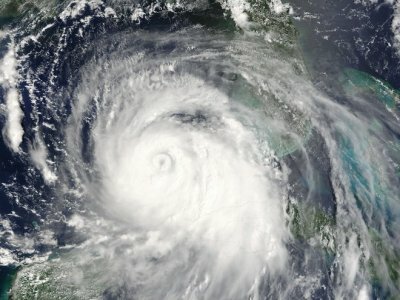 Predictions for this year include 10 to 16 named storms, including 5 to 9 hurricanes, and 1 – 4 major hurricanes with Category 3 strength or higher. Now that the season is upon is, Floridians should take necessary steps to be ready in the case of a direct hit. Step number one to stay safe during a hurricane is to have a plan. People can plan for hurricanes using preparedness guides. Plans need to be worked out for all family members including pets. The plan includes deciding whether it’s safe to hunker down at home during a storm or whether you should evacuate. If you plan to leave, you also need to figure out accommodations during the storm which could include staying with family and friends or sheltering at a hotel. During a storm, pets should be leashed or placed in a carrier, and their emergency supplies should include a list of their vaccinations as well as a photo in case they get lost, according to the Humane Society for the United States. Also important is finding someone who can care for them, in the event that a hotel or shelter does not accept pets. During an emergency, they should also be wearing a collar with the information of an out-of-state contact in case they get separated from you, according to the HSUS.